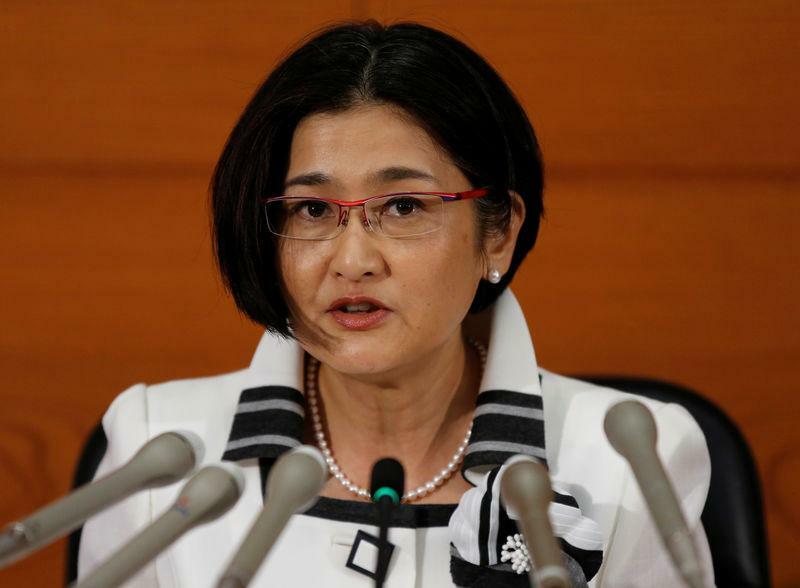 FUKUOKA, Japan (Reuters) - Bank of Japan board member Takako Masai on Thursday stressed the importance of maintaining a massive stimulus programme to ensure the economy generates enough momentum to achieve the central bank's 2 percent inflation target. "Monetary easing can stimulate the economy. On the other hand, prolonged low rates could have adverse effects on bond market functions and financial institutions' profits," Masai said in a speech to business leaders in Fukuoka, southern Japan. "In guiding monetary policy, the BOJ must thoroughly scrutinise the costs and benefits of its policy from various perspectives," she said. Masai said price growth remained weak despite Japan's solid economic expansion due to the public's sticky deflationary mindset and corporate efforts to streamline operations. But she offered an optimistic view on price prospects, saying the economy has not lost momentum to nudge inflation towards the BOJ's 2 percent target. "As such, the best approach would be to sustain the current ultra-loose monetary policy ... so the positive momentum is not disrupted," she said. Subdued inflation has forced the central bank to maintain its huge stimulus programme despite the rising costs, such as the hit to financial institutions' profits from years of near-zero rates. "Such flexible measures the BOJ took (in July) will help sustain sound market functions," Masai said. The BOJ's nine-member board is split between those who see room to ramp up stimulus, and those who are becoming increasingly worried about the dangers of prolonged easing.